Mumm Products six pack rings are made of high quality material and are essential for packaging beer, soft drink cans and bottles. Offered in Perf-Pak and Econo-Pak styles. 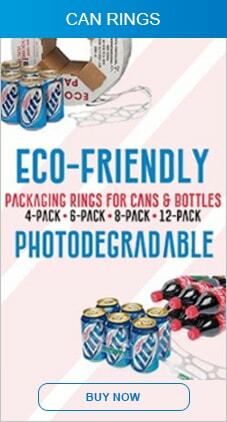 Explore our huge collection of eco-friendly and photodegradable six pack rings, 4 pack, 8 pack or 12 pack rings for cans and bottles. These beer can rings are easy to use and offer a brand new approach to sustainable beer packaging. Mumm Products continues to provide customers the best prices along with a 100% satisfaction guarantee.